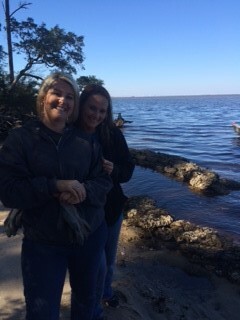 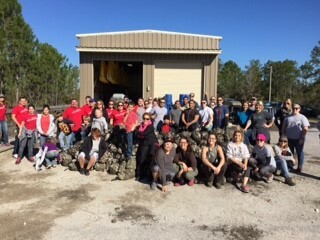 Operation Restoration: Choctawhatchee Bay taught our Crestview, Florida team that living shorelines are better for the environment, as they encourage new growth. 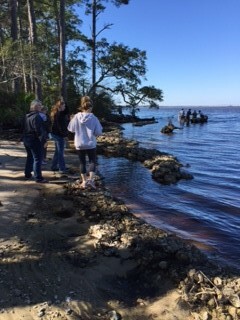 The Restoration event took place in mid-January, with the purpose of preventing erosion and creating a living shoreline, while building on local property owners’ shores. 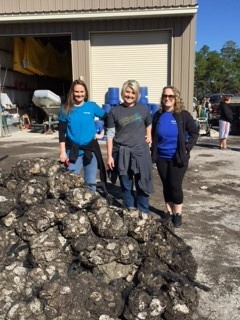 The day consisted of bagging oyster shells, donated from local restaurants, into mesh bags, transporting them to the current shoreline, stacking, and building the living shore. 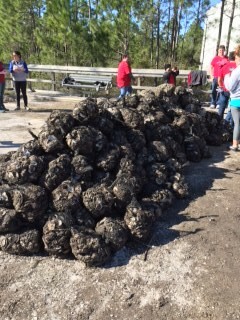 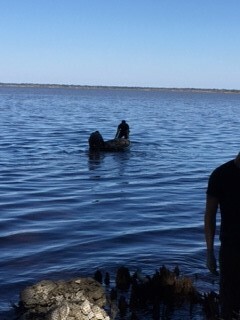 The team was able to bag all of the donated oysters and built over 75 feet of shoreline. 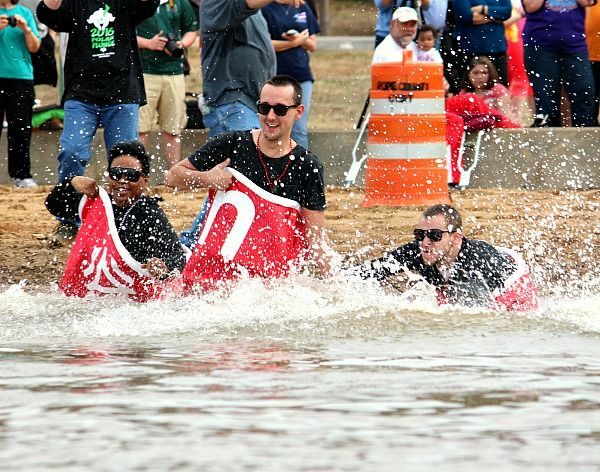 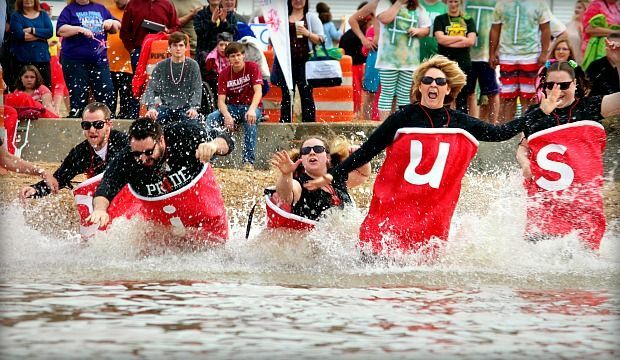 Near the end of February (still very cold), brave souls on our Russellville, Arkansas team spent a day running into cold water as part of the Polar Plunge, an event to raise money and awareness for Special Olympics Arkansas. 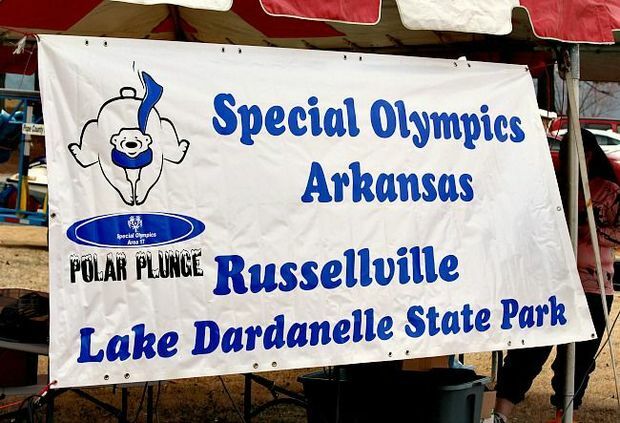 Lake Dardanelle was ready for our polar bears, who didn’t stop there, but saw a couple of our team members also participate in a 5k. 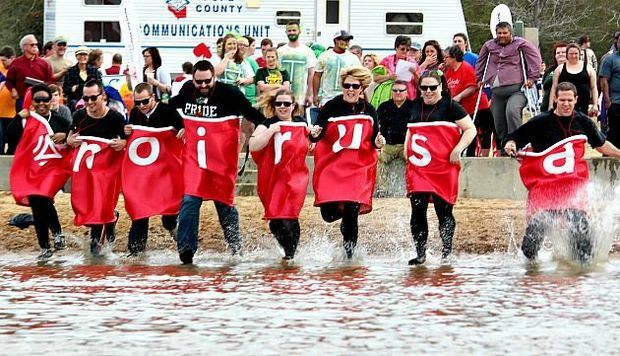 In total, over $1,800 was raised! 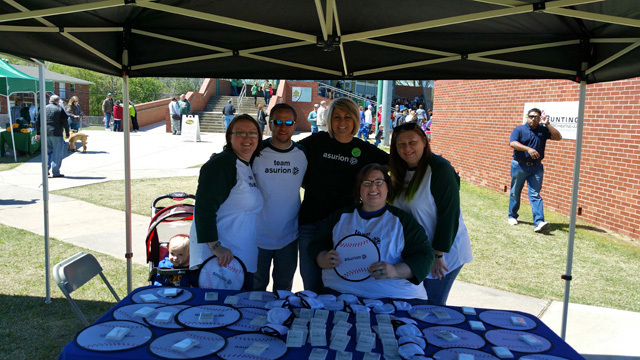 Russellville also got out during the first weekend of April, sponsoring Bash at the Ballpark. 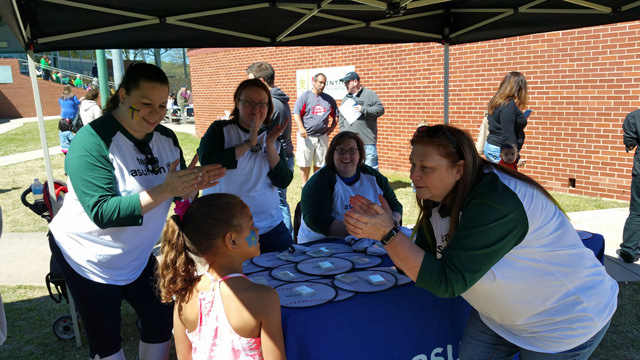 At this event, the local Chamber of Commerce, in partnership with the Arkansas Tech baseball team, hosted a fun “tailgate” event for families and people of all ages with food, music, games, and prizes. 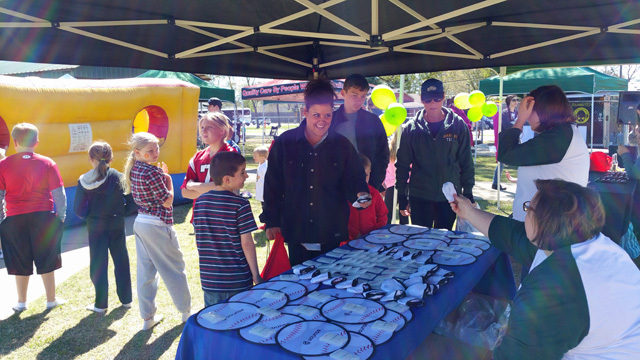 Asurion team members talked to attendees and handed out goodies, including flying discs for the kids. 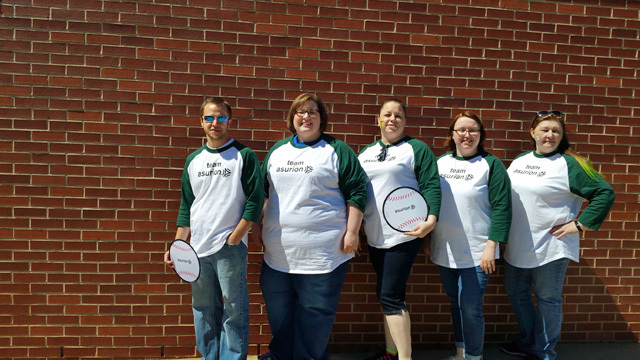 Our Russellville colleagues certainly didn’t miss out on the fun themselves; we hear there may have been a dance move or two that broke out! 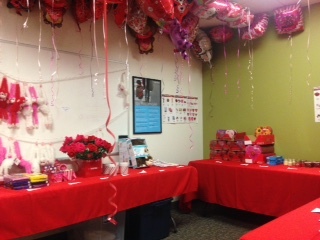 In Nashville, the annual Compassion Forward Valentine’s Day Sale was another great success, raising funds for our Compassion Forward non-profit, which benefits our employees in times of financial hardships due to catastrophic or life altering events. 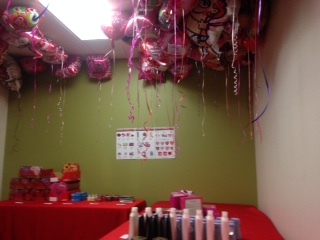 Associates at our headquarters were able to forego the stores and purchase affordable balloons, chocolates, stuffed animals, picture frames, and more allowing shoppers to share their love with friends & family while giving back to their team. 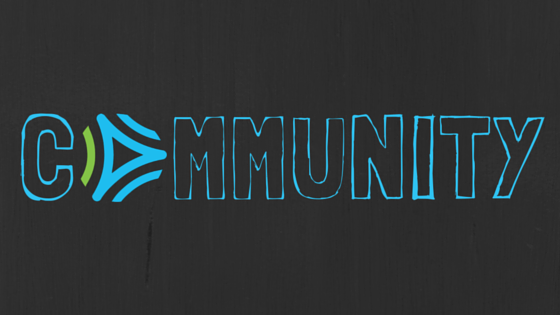 The Sale was a sell-out, with nearly $1,500 in proceeds raised for Compassion Forward. 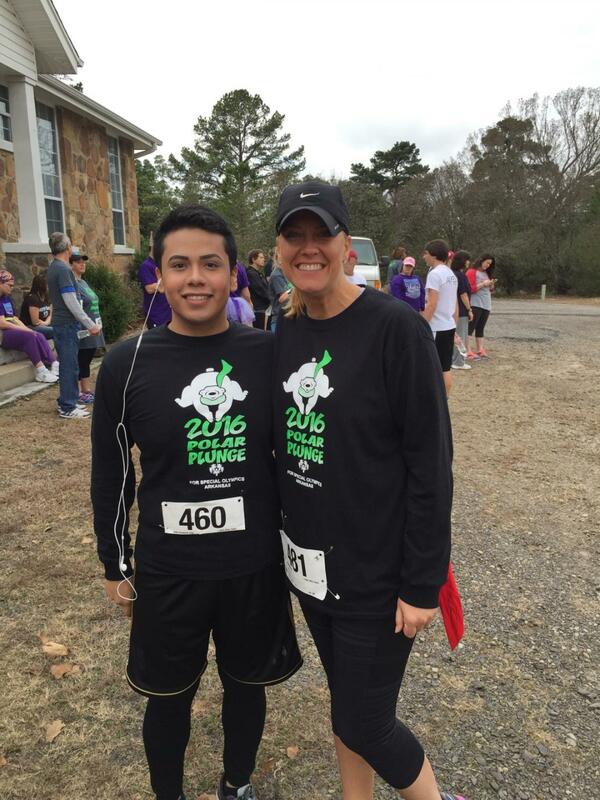 We love our communities and our employees who take pride in serving their neighbors!